There are a few things that I want to share here publicly, as the time wonders quickly along, and sometimes you just forget, even the most important issues.. 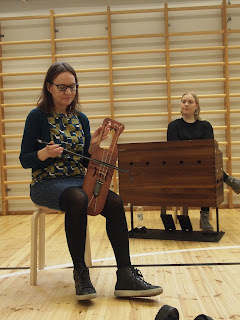 This project has very concrete impacts on the whole schools music educational competence, as the instrument purchases impact the whole population of students, not just the first graders which I am teaching at the moment. Both the djembes and the kanteles have already been in enthusiastic use by the other grades too. And the feedback from the other class teachers has been overwhelmingly happy and grateful.